13 February 1988, West Anklam Road, Tucson, 6 a.m. I’m standing with an ICU nurse looking at Saturn and Uranus in conjunction, the same longitude in the sky, near the hospital where we worked. “They’re in Sagittarius,” I pointed to the “handle of the teapot,” noting the bright star Nunki, guide star for the Voyager 2 spacecraft, to pass near Neptune a year later. “Well,” I sighed, “you can say they are in the Big Dipper, if you want.” This was the last conjunction I would see of the two planets, unless I live to 83. I’ve posted the above picture before, and it’s worth re-posting. What can you learn from this picture? Notice Antarctica illuminated by the Sun, so it must be near the Austral summer solstice. The actual date was 7 December. The Sun is in the constellation Ophiuchus on this date, meaning that if one could see the Sun from space, where the light isn’t scattered by air molecules, it would appear against the background stars in that constellation, an arbitrary grouping of stars with arbitrary boundaries, not in Scorpius (the proper spelling) or Sagittarius, the astrological constellation for this date. Notice the white comma, a major anticyclone, or storm, off the southeastern coast of Africa, and the large clusters of thunderstorms in the southern equatorial region of Africa, consistent with migration of the Intertropical Convergence Zone (ITCZ) this time of year. What predictions did the astrologer make? In 1986, Bank of America was going to have problems. He claimed he knew by looking at the rocks in the foundation; I would have looked at the internal books as a better foundation. He said that the 50th degree of longitude, “that bisects the Persian Gulf,” would become a major factor in the world, and that the 35th parallel through the southern US would become very important. Wow. The 51st meridian (or 27th parallel, another bisector, which was omitted) bisects the Persian Gulf better than the 50th. Given the Gulf’s importance (he didn’t mention the Gulf of Oman and Somalian coastal waters), this prediction is not surprising. All degrees of latitude in the US may be important; he omitted Kirtland and Edwards AFBs, near 35 N., but important Los Angeles is not. What does “important” mean? A chemical explosion, a nuclear weapon, or a great discovery? 50 E. longitude. This might be considered important in the coming years. This goes through oil-rich Baku, near Dagestan, through Iran, the Persian Gulf, the Gulf of Oman, the Horn of Africa, and Somali waters. I limit my issues about Astrology to four: first, my “sign” of Sagittarius is defined by my birthday, not the Sun’s location when I was born. 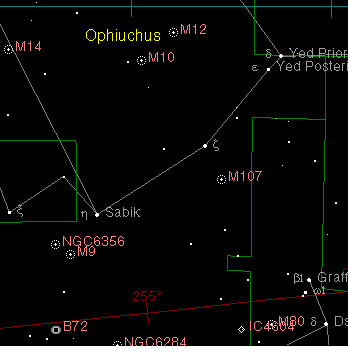 There are fourteen (not 12) constellations through the Sun may “travel.” While it was in Sagittarius on my birthday 3000 years ago, it is now in Ophiuchus, north of Scorpius (the correct spelling). I have no classical astrological sign. Astrologers use celestial longitudes to try to deal with this fact, but they haven’t factored in precession; the Sun passes through 14 constellations during a 26,000 year cycle. In 1991, $10,000 was offered to anybody’s showing the July 11 eclipse of the Sun against the background stars of then astrological Cancer, not the actual Gemini. No takers. Ophiuchus. Scorpius is in the lower right; the curved red line with 255 on it is the Sun’s path, 255 being the number of days after the vernal equinox. Second, there is no proof why astrology works. What happened before 1781, when Uranus was discovered? 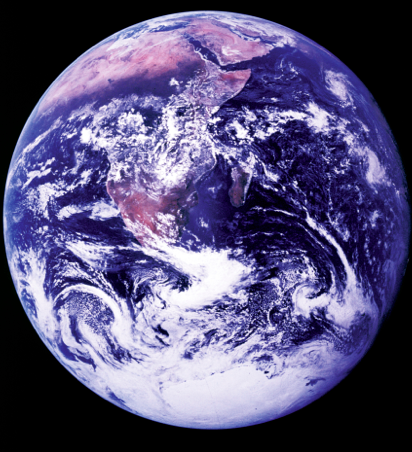 How can a planet’s position affect us? It can’t be gravity, because I have more gravitational attraction with my car than I do with Saturn. Gravitational force decreases with the square of distance. I would like to know the reason using terms that a layman can understand. I practiced neurology, and it was my job to explain what I knew to people, not hide it to make money. Third, lines of latitude and longitude are dimensionless, so there must be some “wiggle room,” or error. How much? Why? We are 95% confident global warming is occurring. If we ran 100 simulations, 95 of them would not contain zero. Where is astrological uncertainty, required for any prediction? 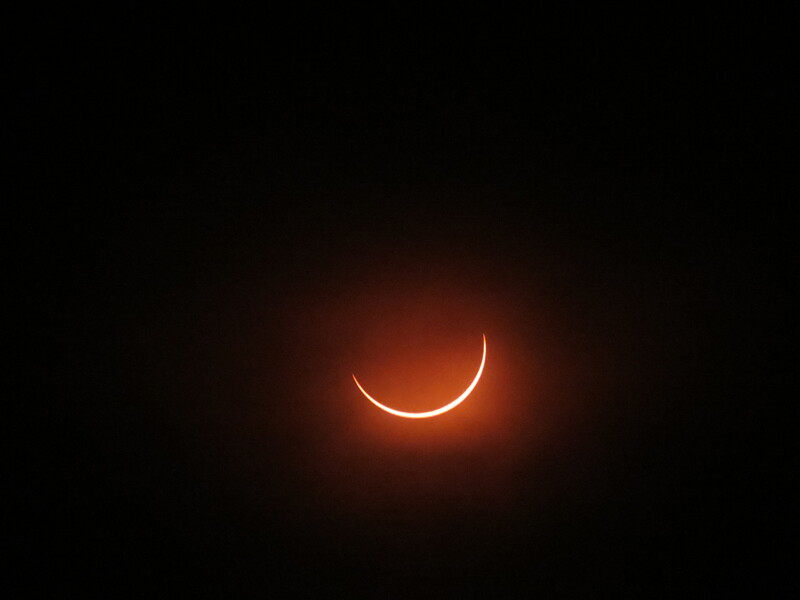 Just after 3rd contact or totality, Uganda, 3 November 2013. We had to be in a path 18 km wide to view 19 seconds of totality. This path was known decades in advance, because we understand orbital mechanics. Finally, too many never learn the actual sky, far more beautiful and fascinating. I can tell time, date, and latitude by looking at the sky, and I can teach it. Why seasons? The poles point in the same direction as the Earth’s orbits the Sun; sometimes they point towards the Sun (summer, more direct Sun); sometimes they point away (winter, less direct Sun). I can predict full Moons and eclipses of the Sun and Moon; so can anybody, should they wish to learn. It is science, not vague words. Science has allowed me to see 20 central eclipses from all over the world. Contrast that to my horoscope today, “You may want to let go of plans and let your spontaneous personality take over.” “May”? Why? What is “spontaneous personality”? All “plans” or some? I once showed a minister the sky. I scuffed my feet in the desert that night, explaining where the silicon in the sand came from–a star. The iron in our blood came from a large star that accumulated iron in its core, which cannot be fused. The star first implodes, gravity taking over when fusion ceases. The ensuing explosion, equal to the Sun’s energy output during its whole existence, produces heavier elements. The gold in a ring came from a star. The magnesium in the pyrrole ring of chlorophyll came from a star, the carbon, nitrogen and sulfur in our bodies came from a star. The calcium in our skull came from a star. Now, if the contents of that skull could appreciate this beauty, direct efforts towards improving the world, rather than making a buck through magical thinking, our life would be improved on this once-part-of-a-star world. This entry was posted on March 5, 2014 at 12:06 and is filed under ECLIPSE CHASING, MY WRITING, UNPUBLISHED OUTDOOR WRITING. You can follow any responses to this entry through the RSS 2.0 feed. You can leave a response, or trackback from your own site.